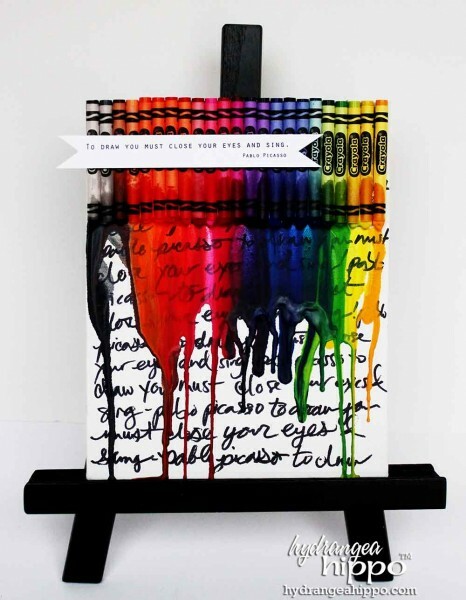 We've all seen them on Pinterest — canvases or frames or boards covereed with crayons and melted with a heat gun to create stunning effects. I love to see a craft stepped up a notch so the hearts and wings and other shapes these crayons have been melted into have been fun. 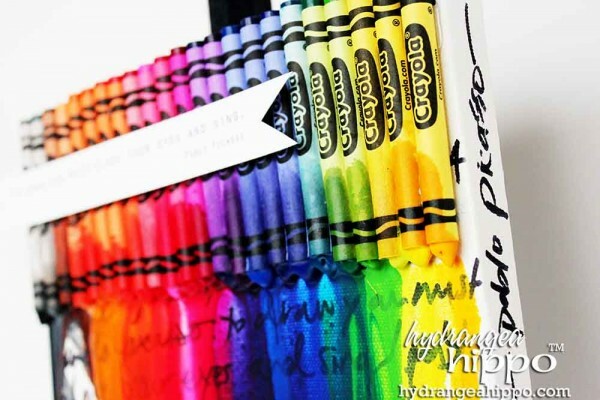 But I wanted to melted crayon art but with more of an art edge, somethign I woudl actually hang on my wall without it looking to much like kid art. I mean, with crayons at 50 cents a box for Back to School, how can you resist at least TRYING this trend out? I decided to take this trend up a little notch – why not add text and an artsy quote? This puppy is actually going on my wall in my office — pretty, fun, and inspiring! « Saturday Morning Crafts – Season Finale! This is gorgeous, Jennifer! 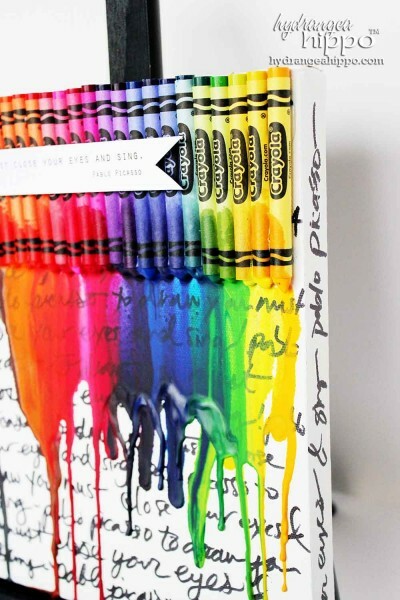 I love how you totally “leveled up” melted crayon art into something truly spectacular. Adding the text and quote was pure genius! And adding the little easel – the perfect crowning touch! 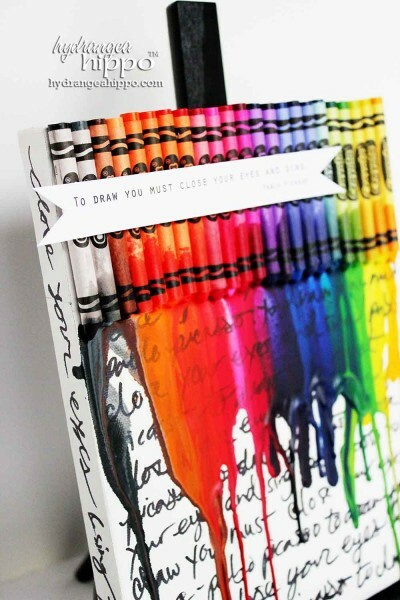 Thanks so much Carmen–it was a lot of fun to create :) Have you tried making one of these crayon canvases yet?